There’s something special about getting scrubbed down from head to toe by a complete stranger, making you feel like complete royalty. So you know I was ecstatic at the idea of being able to drift away into a relaxing realm as someone helped me get to the utmost of clean. When you are cleansed at the location where the Baths of Zeuxippus once stood, you don’t forget the experience. Nor, does your skin. Although my treatment was well over a month ago, my skin and body still shimmer and glow, baby soft from the scrub and massage. The Ayaysofya Hamami experience was one straight out of a fairy tale. Enter through the lobby of the Ayasofya Hurrem Sultan Hamam in Istanbul, Turkey. Through my research online and talking with others I realized that the overall biggest concern for people seemed to be the fact that they will be naked. Well, NEWSFLASH– you are taking a bath, an ancient cleansing ritual, so of course you will be have to undress! 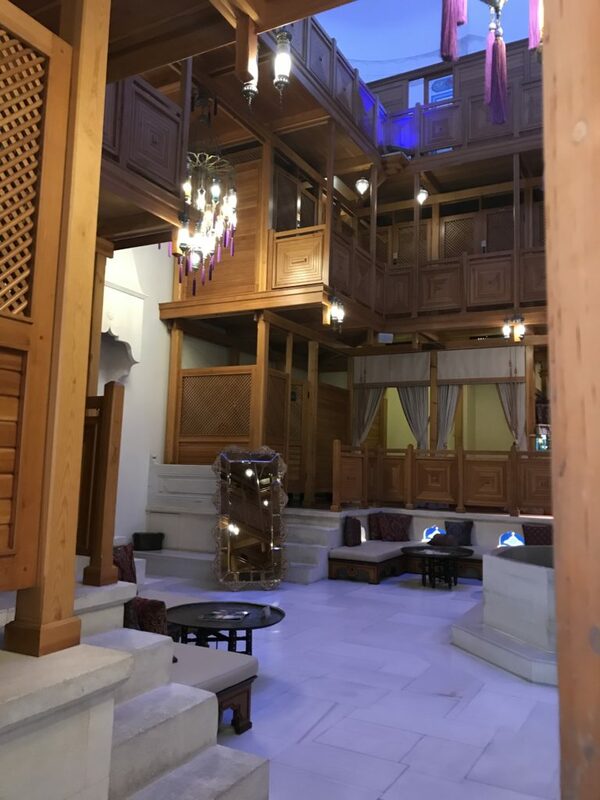 But once you get past this and can accept it, going to a traditional bathhouse, whether Turkish, Russian or another kind will transform you, refresh you and awaken the senses as one of the most magical and unique experiences imaginable, and one of my favorite while staying in Istanbul. 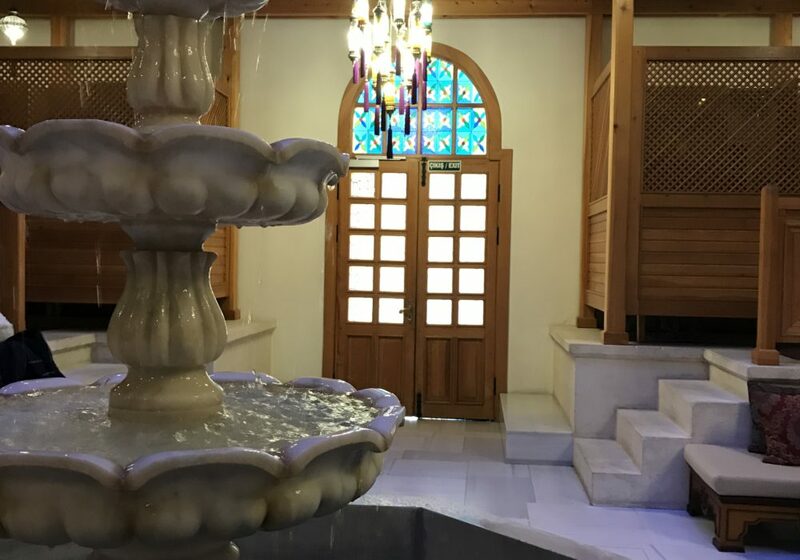 Upon entering, you instantly feel the grandness of the Hamam. The entry space and lobby area is three stories, with an openness in the middle, changing rooms, relaxation rooms and massage rooms lining the walls on each floor. Here, you check in, change and follow the attendant into the bathhouse. Instantly you feel the warmth of the steamy hot air wrapped around your body as you enter the washing area. 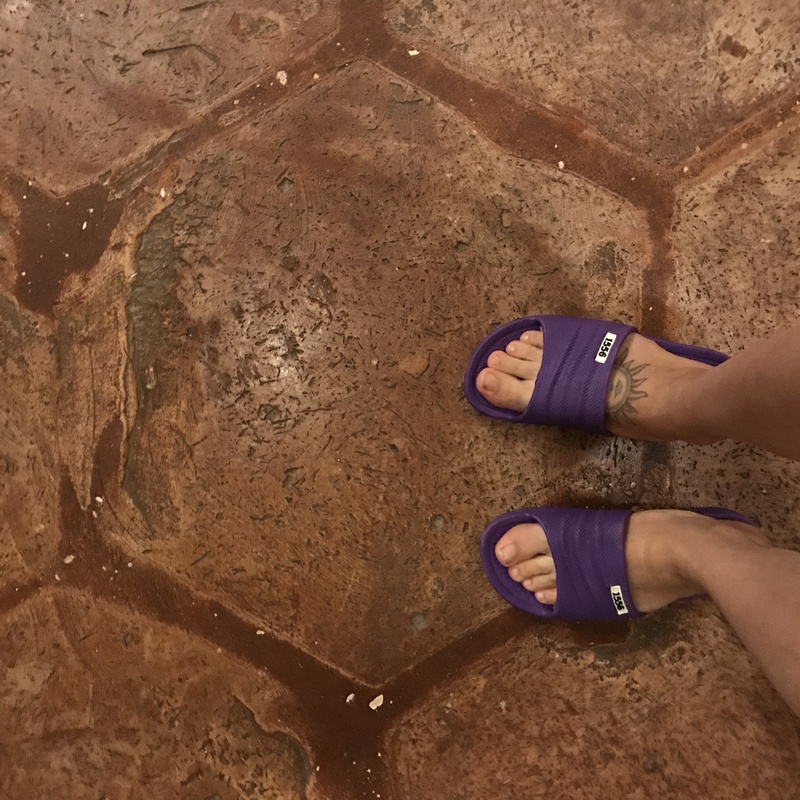 Although wearing flip flops provided by the Hamam, the stone floor and walls are all warmed, from the burning furnace underneath the bathhouse, an old tradition to keep the building warm, which is an added luxury when you take off the slippers to get clean. Comfy attire provided by the staff are slippers and a bamboo towel. The first part of our booked cleansing ritual was a stay in a private bathroom. A sink was filled up with warm water and you were instructed to wash yourself and relax for ten minutes. I loved that this was not a rushed space, almost as if on island time, ten minutes was probably more like 12 or 15. When you are enjoying a bath, every few minutes make a difference. To make it easier to rinse off, golden plated dishes were given to use as ladles for the bath. This only added to the luxurious feel. Next, we left this small room with three sinks to a larger bathroom with close to ten sinks, where attendants were scrubbing down the customer in front of them. The lady who helped me was named Julia and was originally from Bali. This was one of my favorite parts of the experience, as she scrubbed every inch of my body using a special scrub glove. Julia was my attendant for the entirety of my stay at Ayasofya Hamam, from the scrubbing to the massage, which made for a very smooth and comfortable time. Then we went back to the main area of the bathhouse where I was instructed to lay on the stone slab in the middle of the room. The slab was heated and incredibly peaceful. The other women who had just been in the big bathroom being scrubbed were also laying on the circle stone slab. Next came the bubble part of the treatment- where I was covered with bubbles like a blanket, making me feel like a real life mermaid beached with foam all around. After relaxing here, our heads were scrubbed, hair washed, leaving a deep smell of jasmine that I loved. Following the bubbles, we were escorted to the lobby to wait for our massages. 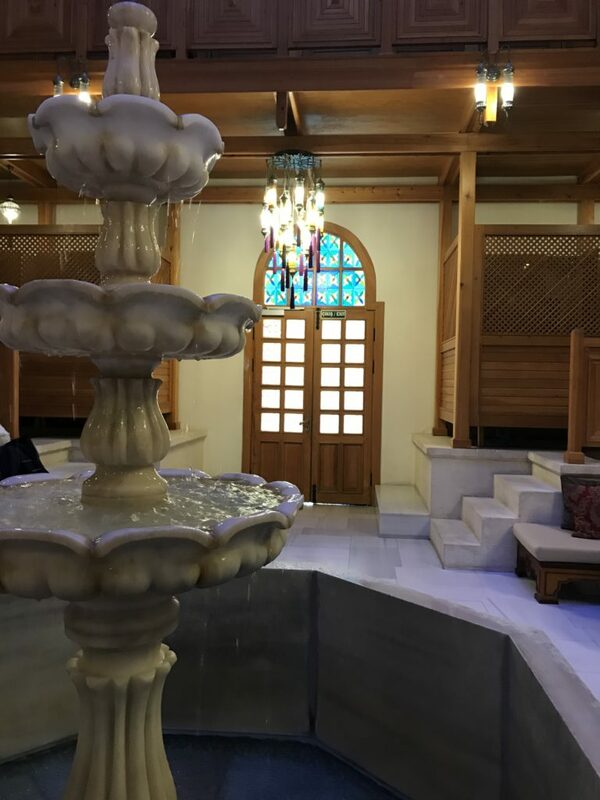 Enjoy the peaceful sounds of the fountain as you sip tea with Turkish Delights while awaiting your massage or relaxing after a nice bathing ritual. The massage was completed at the very top floor of the Hamam. Afterward we relaxed for a few minutes in some lounge chairs and had the freedom to stay in the lounge lobby area downstairs as long as we wished. Traditionally, Hamams were used for socializing as much as they were for cleaning. 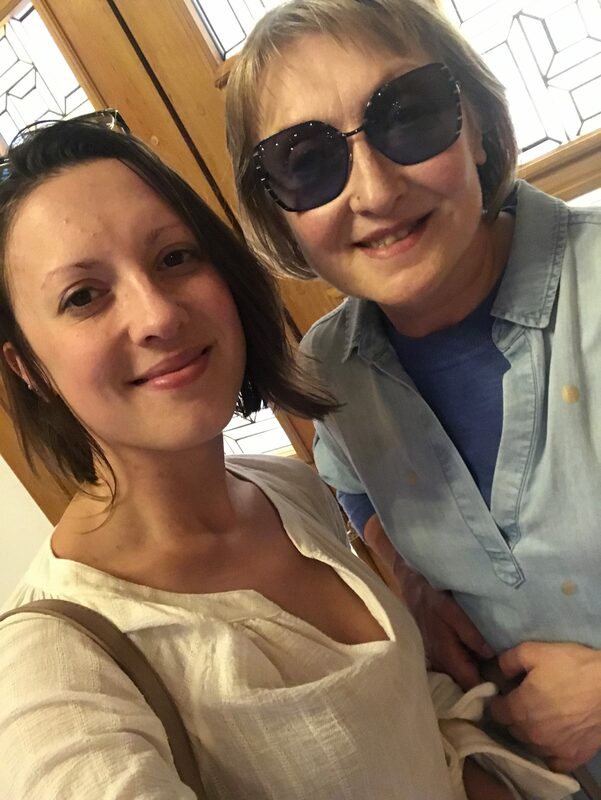 Mothers would often meet future daughter-in-laws to examine their bodies and make sure they were a good fit for their sons. This was truly luxurious time, with fancy soaps, scrubs and a detailed bathhouse. But my favorite part was how it made my skin smell and feel; Like a Queen! Mom and I after our fabulous bath!